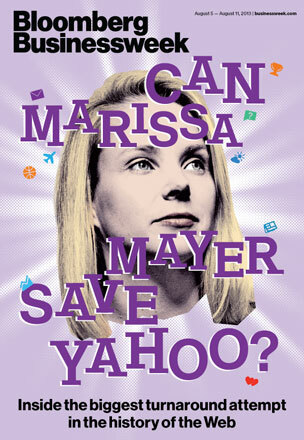 Can Marissa Mayer save Yahoo! (Part 4): Mobile, Advertisements and Monetization- Mayer still has a point to prove. Unlike other mobile powers such as Apple (AAPL), Google, Facebook, Samsung, or Amazon, Yahoo neither controls an operating system nor makes popular hardware devices. And unlike Netflix—or HBO (TWX) or Showtime (CBS), for that matter—it doesn’t own blockbuster shows people are willing to pay to watch. Yahoo’s Weather app may delight design aficionados, but it doesn’t hold a user’s undivided attention the way an episode of Game of Thrones does on HBO Go. Mayer has locked up at least some exclusive content. In April, Yahoo purchased the online rights to old Saturday Night Live clips for an undisclosed amount. She says her strategy is to partner with other players, pushing Yahoo’s licensed content, original shows, and collection of apps to other companies’ hardware. For example, Yahoo makes the default stock-quote application on every iPhone, and Mayer has talked about doing more such deals. The risk is that any company might decide at a moment’s notice to replace Yahoo’s offerings with something else. 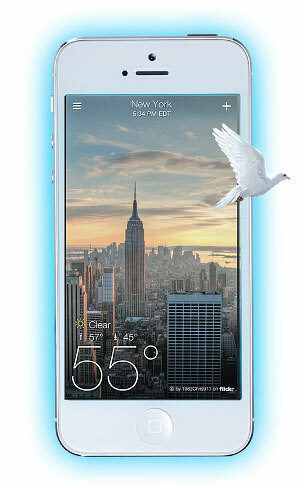 Even if its free mobile apps become huge hits, Yahoo has to figure out a way to monetize them. The company is no doubt quietly developing a strategy to advertise within its mobile services, though Mayer will only say she’s focused on developing products that users love. Even there, though, rivals are ahead. Facebook stock rose 30 percent the day after it revealed that 41 percent of its revenue now comes from ads on phones. Although Yahoo doesn’t disclose mobile revenue, Macquarie Securities analyst Benjamin Schachter estimates its mobile ad percentage is well under 10 percent. For all her credibility with engineers, Mayer is an unknown to Yahoo’s biggest advertisers. “To be out there meeting with clients and advertisers is not her thing,” says Marla Kaplowitz, the chief of media agency MEC North America. As for its products, “Yahoo still needs to be a lot more nimble,” says Kaplowitz, noting that running large ad campaigns across Yahoo’s stable of services is particularly cumbersome. The division’s employees also get personal attention from the boss. Mobile engineers describe regular product reviews where Mayer pushes them to move faster and think bigger. She often focuses on individual pixels on the screen and is comfortable letting her instincts trump empirical data. “Just because we have a ruler doesn’t mean we have to measure everything,” she said at one review, according to Lee Parry, senior director in the mobile group and a seven-year Yahoo veteran. Over the last few months, Cahan, Parry, and their colleagues have released apps for Yahoo Mail, Weather, Fantasy Football, and the Flickr photo-sharing service. They’ve also unveiled the Yahoo news-reading app, which integrates technology from Summly, a startup founded by London teenager Nick D’Aloisio that Yahoo bought in March for $30 million. The app uses Summly’s text-summarizing software to abridge everything from sports game recaps to Mayer’s own quarterly earnings presentations. There was no shortage of skepticism when Mayer departed Google, her only professional home, for the dismal scene that was Yahoo last summer. A pay package valued at $36.6 million in salary and stock for 2012 alone, according to company filings, was no doubt convincing, but Mayer insists she was passionate about the opportunity. And though she vows to focus an interview on corporate strategy, she can’t resist describing her momentary panic and disappointment when she thought she didn’t get the CEO job. Mayer had pursued the position in total secrecy. She had to say the code words “project cardinal” to a limo driver waiting outside her Palo Alto home, who then drove her to a Silicon Valley law firm for a meeting with Yahoo’s board. The board was supposed to call with its decision by 8 p.m. When the hour arrived, she and her husband, investor Zachary Bogue, were at a dinner party, and Mayer was battling the urge to keep checking her phone. “I saw such an opportunity here,” she says, “and felt like I had so many ideas.” She also felt that after 10-plus years at Google, it was time to leave. Mayer is relentless in her search for other believers. In addition to her mobile hiring spree, she’s begun shifting funds back into Yahoo’s research organization, which previous CEO Thompson gutted in a round of layoffs. She says the lab has a goal of hiring 50 Ph.D.s this year and has already signed up 30. Shareholders are still waiting for the change that really matters: revenue growth in search and display advertising. In the second quarter, Yahoo’s revenue dropped 7 percent from the year before. Meanwhile, Facebook (FB) and Twitter are taking ever larger chunks of everyone’s time; Netflix (NFLX), Hulu, and Amazon.com’s (AMZN) Prime Instant Video service have become online TV networks; and Facebook and Google are carving up the display advertising business. Internet users no longer consume big meals of news and entertainment at a single Web portal—Yahoo’s previous raison d’être. Now they snack on morsels of information from all corners of the Web. Mayer decided early that Yahoo’s fortunes were tied to devices. Upon taking the job, she memorized a list of the top things people do on their cell phones and would recite them, unasked, to family and friends: phone calls, texts, e-mails, maps, weather, news, stocks, sports, games, photo sharing, group messaging, celebrity gossip, and financial news. “I remember financial news and stocks were both on there, and that sounded like cheating because they’re kind of the same,” she says. Yahoo wasn’t going to pursue advances in voice-recognition, texting, or maps—she knew too well the expense associated with such development as well as the distance of Google’s head start—but the rest aligned closely with Yahoo’s most popular services. Yet when she began reorienting the company, Mayer discovered there were only a few dozen engineers working on apps. That’s not because Yahoo was late to the mobile revolution, but because it was too early. A decade ago, Yahoo built a mobile team under a former executive named Marco Boerries. The effort ran into a classic Innovator’s Dilemma: Yahoo’s success was tied to the traditional Web, and the company didn’t want to risk anything that might undermine profits. When Bartz took over as CEO in 2009, Boerries left to start a mobile company in his native Germany, and his group was disbanded. Some engineers were repatriated to their product teams, where they had trouble persuading colleagues to focus on mobile. Almost all are working elsewhere now. Among Mayer’s top priorities was to reestablish a centralized mobile group. To run the unit she selected Adam Cahan, 41, whose startup, IntoNow, was acquired by Yahoo for around $20 million in 2011. Cahan, like Mayer and many of her lieutenants, is an exuberant dresser. For an interview, he wears gray, linen-covered shoes, a shirt with the top two buttons open, and a stack of bracelets he calls his “man jewelry.” Cahan says his mission is to build the largest software-only mobile development team in the world and to create applications based on Yahoo’s commonly used Web services, such as its Fantasy Football league and the feed of headlines and entertainment news on its home page. It sounds simple enough, but Cahan insists it’s a big change. Before Mayer took over, “there were elements at Yahoo very focused on the mechanics of a quote unquote turnaround,” he says. He argues that it’s a significant shift just to focus on users and build products instead of catering to the balance sheet. When Mayer left her executive role at Google (GOOG), she knew she was taking on what might be the hardest job in the Valley. Yahoo has had a lost decade, laboring under a series of failed product strategies and CEOs. It was a Web directory under founders Jerry Yang and David Filo, then a Web portal under Tim Koogle. Terry Semel made it a tech company with Hollywood pretensions, and, most recently, it languished under Carol Bartz and Scott Thompson as a dot-com relic known mostly for losing its top talent to competitors. 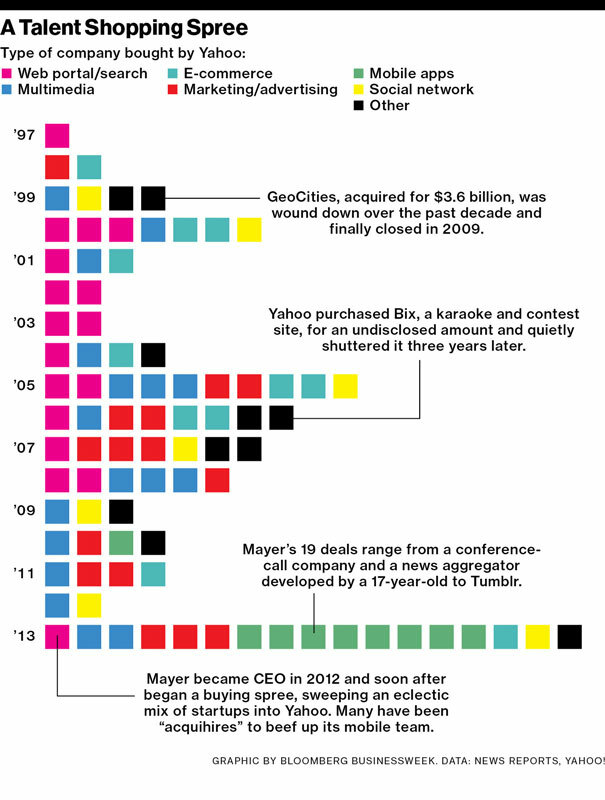 Now Mayer wants to transform it into a media company for the mobile age. She’s refocusing her 11,500-employee company on the kind of personalized, habit-forming content that people view on tablets and phones. That means new kinds of e-mail, messaging, and news applications, tailored to the location-aware and always-on nature of the mobile experience. “I hope that at some point we are looking at a world where mobile is a majority of our revenue,” she says. Yahoo! Present Tense, Future Unsure! Coming back to the reports: the first one was about Yahoo! Preparing for a strategic sell-out and the fact that Yahoo! board should have sold out to Microsoft long back when Ballmer made a very generous offer. Yahoo’s long-time advisers Goldman Sachs and Allen & Co are preparing to give potential buyers financial information which is a sign that Yahoo is about to put itself on the auction block. Sale appears to be the best way forward ro get rid of the biggest millstone about the company’s neck – its board. Yahoo has been consistently underperforming and made some howler decisions. Attempts including a very aggressive positioning effort (by Ms. Bartz) to turn the company around failed and the share price is much lower than it was when Ballmer made his bid. With due respect to Mr. Seth, the plan sounds nice (as did every other Yahoo! turn around plan) but there are huge many gapping large holes in the scheme of things that Mr. Seth puts. Firstly, the mobility space is taken… Androids will push Google, WPs shall push Bing and Apple doesn’t care, because the whole app experience in terms of App look up and search is so well integrated in Apple that they won’t need Yahoo! to give them the solutions. That kind of rules out Points 1 and 2 listed above as the platforms will inevitably push their native search engines. The UX of Yahoo! search could also be a dampener. This applies to the two of the largest device platforms: Smartphones and Tablets. Ability to search through integrated user linked information across user accounts is a great idea, but I suspect that the Google’s of the world are already doing it in some measure and are integrating things faster. What really enables Google and Bing is that they have a teams of developers working on their platforms using the native Google and Bing search apps. Yahoo seems to have realized the potential in mobile a little late for any real action coming through to them. Yahoo seems to be serially missing out on another huge property that they have in terms of 12+ years of content. 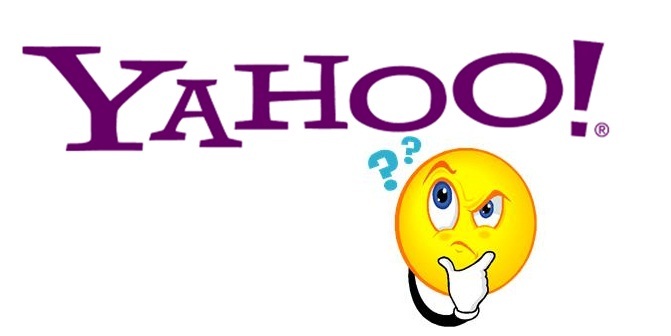 A content management system with optimization could bet Yahoo!’s answer … much like the Guardian example. However, I don’t think that it has the ability to turn Yahoo! around. 2 yrs back, Microsoft launched an aggressive attack on Google’s search with its Bing search engine. 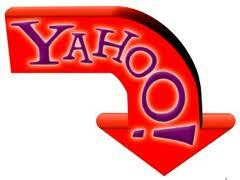 It also put in place, an agreement with Yahoo powering the Yahoo search at the backend. 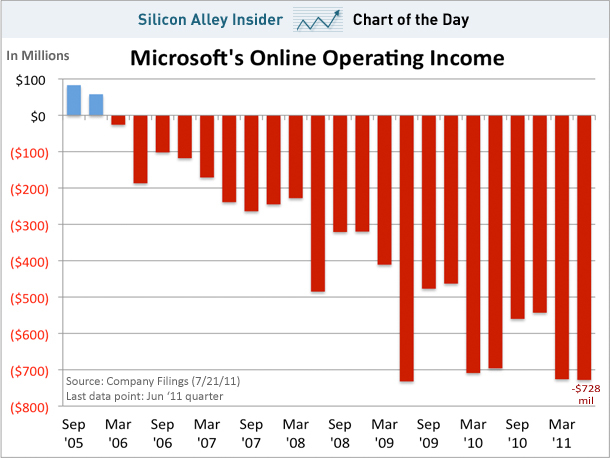 2yrs on, Microsoft is still at it, loosing loads of monies to the tune of $700 million a quarter. The costs for Microsoft, meanwhile, keep mounting. In the latest fiscal year, ended in June, the online services division — mainly the search business — lost $2.56 billion. The unit’s revenue rose 15 percent, to $2.53 billion, but the losses still exceeded the revenue. Microsoft’s assault on Google in Internet search and search advertising may be the steepest competitive challenge in business today. It is certainly among the most costly. Trying to go head-to-head with Google costs Microsoft upward of $5 billion a year, industry executives and analysts estimate. As the overwhelming search leader, Google has advantages that tend to reinforce one another. It has the most people typing in searches — billions a day — and that generates more data for Google’s algorithms to mine to improve its search results. All those users attract advertisers. And there is the huge behavioral advantage: “Google” is synonymous with search, the habitual choice. Once it starts, this cycle of prosperity snowballs — more users, more data, and more ad dollars. Economists call the phenomenon “network effects”; business executives just call it momentum. Bing’s gains have not come at the expense of Google. Its two-thirds share of the market in the United States — Google claims an even higher share in many foreign markets — has remained unchanged in the last two years. The share losers have been Yahoo and smaller search players. Even while Microsoft is a big, rich company, investors are growing restless at the cost of its search campaign. The inability to make effective inroads into Google’s Search stronghold is seen to be a failure in Ballmer’s strategy. While the gas tank of investments at Microsoft is an seemingly an endless pit, the lack of results (as desired) on the Bing search engine and the drain on investments is beginning to show up in terms of Investors, Analysts questioning the path, intent and approach. Challenging Google in real terms on search is a long drawn battle and it all depends on how long is Bing ready to bleed as against how quickly does Bing get measurable real results for investors to approve the spends.